Baracci Solution’s tailored web applications stand a class apart from other off-the-shelf web solutions. Baracci Solutions delivers award winning web 2.0 Web Applications to clients in Montreal, across Canada and around the World, using the best that technology has to offer. An industry leader, Baracci Solution’s personalized Web Applications stand a class apart from other off-the-shelf web solutions since they can be tailored to match your exact specifications. Our Web Applications offer additional and invaluable business functionalities and features compared to regular web design services. 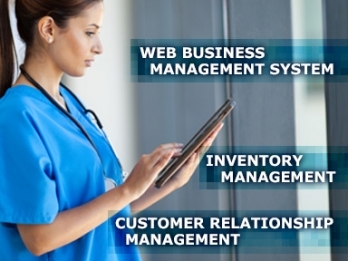 Whether your business is in need of a Web Business Management System (WBMS), a Content Management System (CMS), a Business Relationship Management (BRM), a Customer Relationship Management (CRM), an Email Marketing Solution (iNewsBLITZ) or even our Electronic Baracci Event Management System (eBems), all of our personalized Web Applications offer a high level of usability and functionality, are inherently maintenance free and are easily scalable to meet you precise business needs. Web Application Development projects are no longer time consuming or extensive due in large part to the advent of Rapid Application Development (RAD) tools which allow us to program and deploy your Web Application within a very short timeframe. Obtain excellent results at a very affordable cost thanks to Baracci Solutions’ tailored Web Applications built using state of the art Web development technologies. Baracci Solutions brings websites to new heights with its powerful, affordable and personalized web applications.